FFWPU Taiwan: The Family Federation for World Peace and Unification- Taiwan held the 120-day witnessing competition from September 1st to December 29th. The first 40-day is a special condition to witnessing to university students because a new semester of the university has started in September. Full time members, leaders and blessed families from each church went to campus to recruit university students by inviting to join “Introduction meeting”, Volunteers, Home Group, and “One Family under God Workshop” etc. After the first meeting which was an introduction in church for the new guests, we invited them to join our “One Family under God Workshop” to beginning the study course. 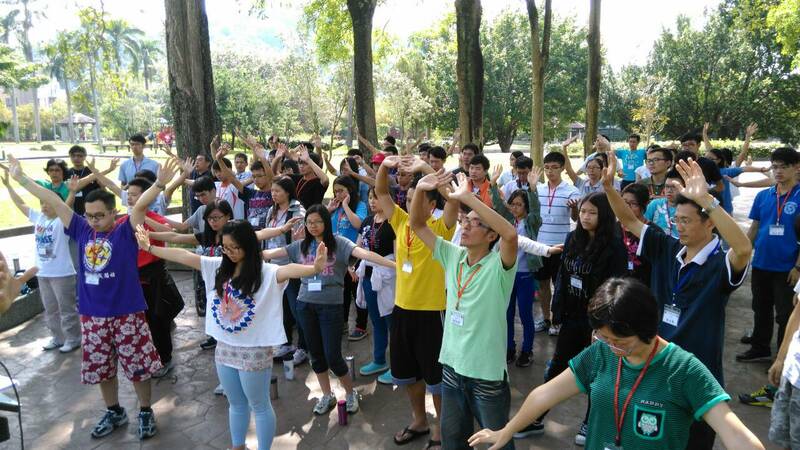 In Taichung church, they had held two “One Family under God Workshop” in the end of September, and totally 60 new students attended. There are also many foreign students such as Chinese students who come to church. The focused activity is the “National One Family under God Workshop” which we held on October 3rd ~ 5th in a Christian church. Nearly 100 people who came from different churches attended the workshop. There were 40 new guests included those students from China, Macau and Malaysia in this workshop. Each of the new guests has a coach who is mainly one of our family member to accompany them to grow and learn in the workshop as the role of parents or elder brothers and sisters. The students can experience to be loved, be praised and be affirmed by staff and coach and even other participants in the lectures and experiential activities. All participants had the feeling of “we are one family”, and were moved by this kind of atmosphere and culture. In the end, most students decided to study more about what we teach about, or continue to study DP actively, or attend voluntary service projects.